“Black Panther” shocked everyone, including its own cast, when it won the best ensemble cast in a motion picture. This is the first time an all-black action movie has won the award. “Black Panther” made more than a billion dollars worldwide. The film beat out one of the favorites to win, the cast of “A Star is Born,” which was snubbed by the actors’ union, and failed to win a single SAG award. The 25th Annual Screen Actor Guild Awards were full of surprises just like this. Comedic actress Megan Mullaly hosted the show, which is known for honoring the best acting performances in television and film. 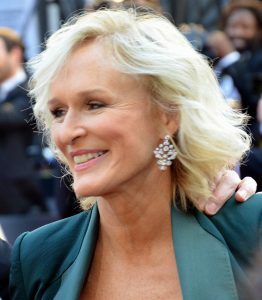 Glenn Close won best leading lady for her role in “The Wife.” The 71-year-old actress took home the statue for outstanding performance by a leading actress. Rami Malek took home a SAG for outstanding performance by a male actor for his role in “Bohemian Rhapsody.” This is Malek’s first Screen Actor Guild Award. Emily Blunt took top honors for best female actor in a supporting role for her character in the horror film, “A Quiet Place.” The film was directed by her husband, John Krasinski, who also co-starred in the film. Sandra Oh broke down in tears when her name was called for outstanding performance by a female actor in a drama series for her role in “Killing Eve.” During her acceptance speech, she encouraged others to keep going by sharing stories of people who motivated her when she went through hard times. Next up for the Hollywood film industry are the Academy Awards on February 24th. Below is a complete list of all the nominees and winners of the coveted SAG “Actor” statuette.